At a two-day conference earlier this week of the Chinese senior leadership, Chinese President Xi Jinping said that he would never accept the Dalai Lama’s proposals for genuine autonomy for the region. Denouncing the spiritual leader’s attempts at compromise as a ‘smokescreen’ for separatism, the Chinese authorities have once more closed their ears to Tibet’s desire for peaceful conflict resolution. China will wage an unceasing fight against separatism in its restive mountainous region of Tibet, President Xi Jinping said, as the government repeated it would never accept exiled Tibetan spiritual leader the Dalai Lama's genuine autonomy proposals. This year marks several sensitive anniversaries for the remote region that China has ruled with an iron fist since 1950, when Communist troops marched in and took control in what Beijing calls a "peaceful liberation". It is 50 years since China established what it calls the Tibet Autonomous Region and also the 80th birthday of Tibetan spiritual leader the Dalai Lama, who has lived in exile in India since fleeing Tibet in 1959 following an abortive uprising. At a two-day conference this week of the senior leadership about Tibet, only the sixth ever held, Xi repeated the government's standard opposition to Tibetan independence, saying he would fight an "an unswerving anti-separatism battle", state media said in comments reported late on Tuesday. "We should fight against separatist activities by the Dalai group," Xi was quoted as saying. 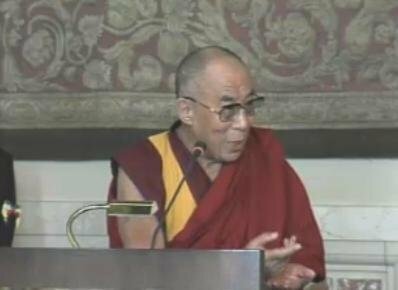 The Dalai Lama denies seeking independence, saying he only wants genuine autonomy for Tibet, something he calls the Middle Way and which Beijing believes is merely a smokescreen for independence, arguing Tibet already has real autonomy. An accompanying commentary published by the United Front Work Department, which has led unsuccessful on-off talks with the Dalai Lama's envoys, said the government had not accepted, and would never accept, the Middle Way. The Middle Way seeks to cleave off one-quarter of China, as it would include historic parts of Tibet in neighboring Chinese provinces, the commentary, carried on the department's WeChat account, said. Xi called for efforts to promote "patriotism among the Tibetan Buddhist circle and effectively manage monasteries in the long run, encouraging interpretations of religious doctrines that are compatible with a socialist society", state media said. There should also be more campaigns to promote ethnic unity and promote a sense "of belonging to the same Chinese nationality", he added.